These delightful light-as-air cakes are based on French Financiers and are super easy to make. I used the basic recipe but adjusted the ingredients for variations. These dainty cakes can be served as afternoon tea or just with a cup of hot tea or an after-dinner dessert. Sift flour, icing sugar into a mixing bowl. 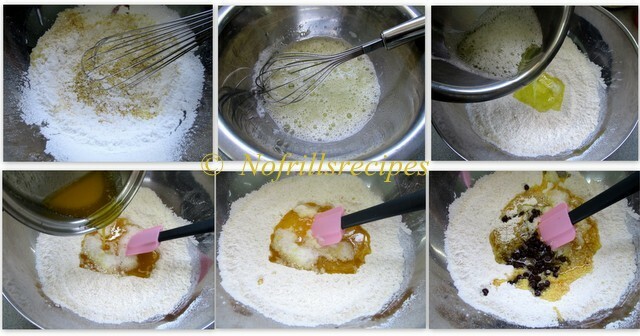 Add in almond meal, mix well and make a well in the centre of the mixture. Lightly whisk the egg whites till frothy. Pour the egg whites, lemon juice into the mixture, followed by the melted butter. Lightly stir to form a soft batter. Scoop the mixture into the greased and flour dusted Friand pan. Bake in a preheated oven @ 180 deg.C for 15 to 20 mins. Test with a skewer till it comes out clean. Let cool and dust with icing sugar before serving.